Eye problems can range from blurry vision, spots,night glares, and flashing lights. 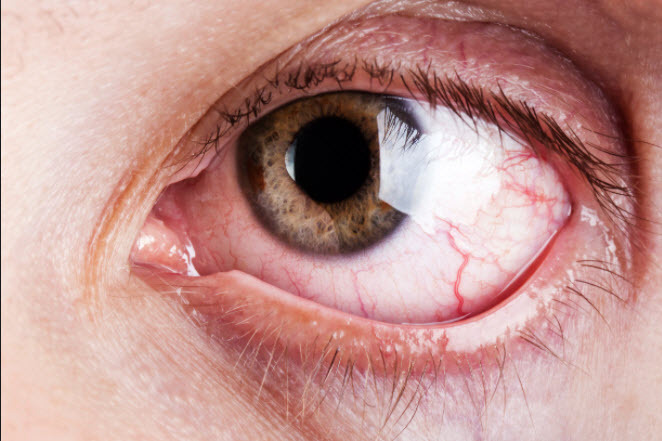 These are common eye complaints. Each could be a harmless annoyance or an early sign of disease. It isn’t always easy to tell the difference. Here are signs that may indicate trouble. Tough word to pronounce, but even more trouble if you’re a senior citizen and have problems reading the fine print. It’s called presbyopia, which means “old eye” in Greek. Most people start to notice it in their 40s The eyes’ lenses become less flexible and can’t change shape to focus on objects at reading distance. The solution: Wear reading glasses or bifocals, which correct both near and distance vision. If you wear contacts, ask your eye doctor about contacts made for people with presbyopia. If you have astigmatism in one or both eyes, your vision may be out of focus at any distance. It happens when the cornea, the clear “window” that covers the front of the eye, isn’t shaped right. Light rays can’t focus on a single point on your retina. Instead they scatter to many places. Symptoms include blurred vision, headaches, fatigue, and eye strain. Glasses or contact lenses correct it. Surgery may be an option. Age-related macular degeneration (AMD) damages and then destroys your central vision, making it hard to read or drive. Symptoms can include a central blurry spot or straight lines that appear wavy. You’re more likely to have it if you are older than 60, smoke, have high blood pressure, are obese, are female, or have a family history of the condition. See your eye doctor regularly to check for AMD. Prompt treatment can help slow vision loss. Type 1 and type 2 diabetes can cause partial vision loss and lead to blindness. The damage involves tiny blood vessels in your retina. It can often be treated, but don’t wait for symptoms. By the time you have them, blurry vision, spots, shadows, or pain, the disease may be severe. If you have diabetes, get an annual eye exams. The best prevention is to keep your blood sugar in check. There are white or black spots all the time. When you’re a child, if one eye doesn’t see well, your brain may favor the other. This condition, called ambylopia, can happen if your eyes aren’t aligned right (strabismus or crossed eyes) or one eye just doesn’t work as well. The doctor will prescribe a patch or drops that blur vision in the “good” eye. This prompts your brain to use the other eye. If amblyopia isn’t treated during childhood, it can cause permanent vision loss.